November book of the month! 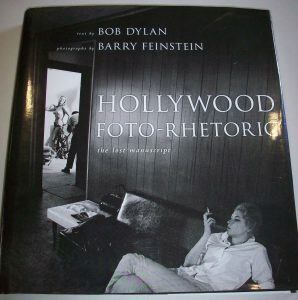 Text by Bob Dylan, Photographs by Barry Feinstein. Hollywood Foto-Rhetoric, The Lost Manuscript. Hardcover, 142 pages, monochrome photographic illustrations without inscription. This book, plus hundreds more can be found at Cornucopia II.